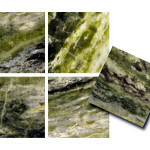 Irish Connemarble Green is a highly variegated decorative marble. 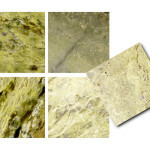 Both the colour and veining are treasured for the very reason that they are so unique. 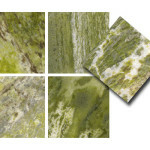 Many shades of natural green are present in all our tiles and slabs. 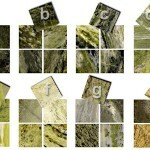 The colour samples on this web-site are to be viewed as a general guide only. 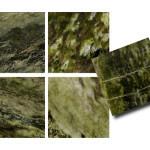 Our distributors carry a mixed selection of our slabs and tiles most of the time. 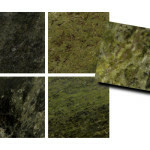 Use of small samples to colour match is not advised. 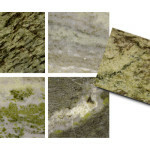 The best way to select Irish Connemarble Green is to visit your nearest distributors stock yard. 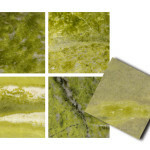 You will need an appointment and referral from your local stone retailer/fabricator to select our marble in distributors yards as they only sell to retailers. 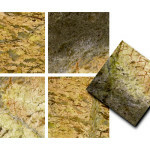 To view a larger example click on the image of your preference.